Who's ready for another makeover? This is another behind the scenes shot of the diversity campaign America the Beautiful. 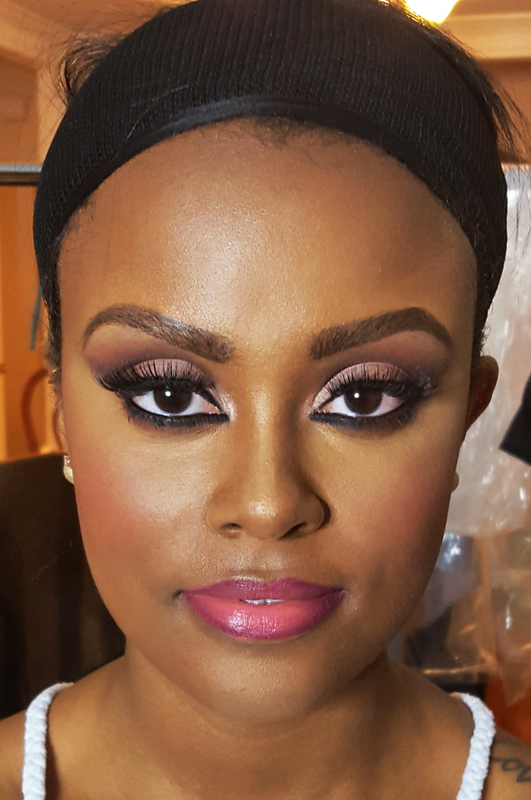 I did a gorgeous natural into Arabic inspired makeup look on my beautiful model. Check it out! I didn't have a chance to get a before shot. But here is the "No Makeup" makeup look. 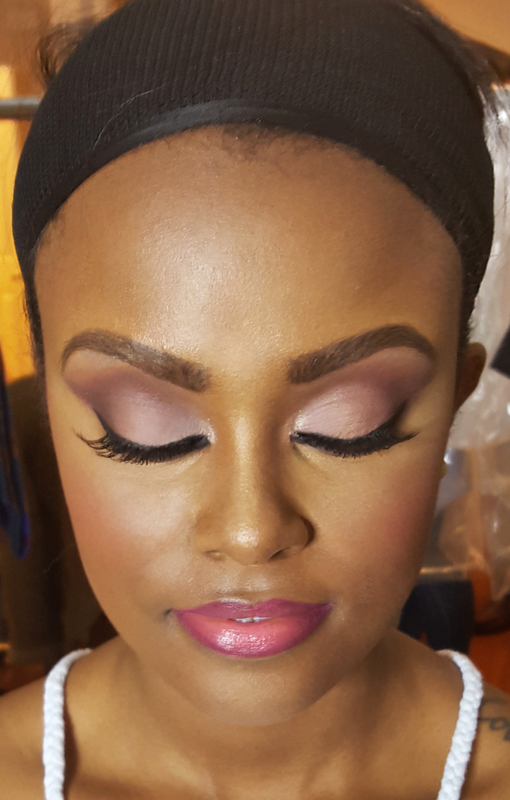 I focused on defining her brows and giving her a flawless complexion. For the glam, I was inspired by soft dusty pinks to complement a head scarf she would be wearing in the photoshoot. 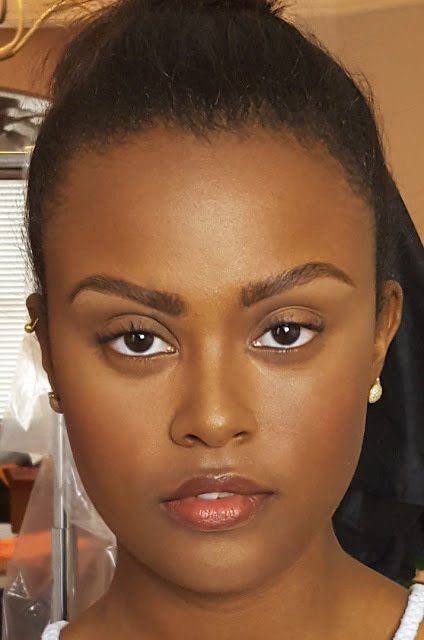 I used the Lorac Unzipped Palette on the eyes, one of my favorites. The model had the idea to do a brighter ombre lip, something I don't typically do. But I love how it came out. Hope you all enjoyed this look. I can't wait to share the professional pictures soon!